Let’s get to know more about Gutenberg and how beneficial it is for bloggers from the best web development company in India. In simple terms, if it is to be explained it is one block based editor that allows the web developers to edit, add and format their content in a more effective way and much easier. This new update of WordPress is nothing less than a blessing for bloggers who can now easily use its new system of block editing. The biggest benefit of Gutenberg is to the section of users who are not that indulged in technologies and its upgrades. Now the bloggers don’t have to struggle over ascending their UI or UX skills to enhance their blogging sites. With the aid of blocks, they can easily add text, video, images or even enhance their coding as well. WordPress’ plugins are amongst the most famed features of this framework. They form the vital components of WordPress. There are many plugins to enhance the functional abstracts of blogging sites as well. Hence many developers can download it and make the most of it. But then there are some complicated plugins as well which are not free and cost extra upon using. For bloggers with not enough programming skills, this becomes quite a concern if they want to make their site more of a showplace. For something as elementary as “versatility” in the digital world, bloggers have to struggle so much which keep the blog writing at bay. When WordPress failed to provide them with flexible options and hence they turn to other platforms where they get it more easily. 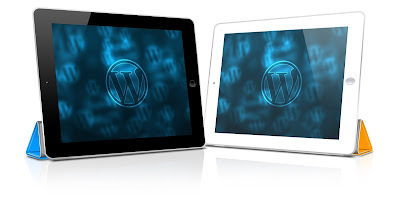 ● Wordpress.com: it is hosted and the users can easily avail the assistance of developers and WordPress team. Both of them have the Gutenberg. Primarily Gutenberg was just a plug-in but later it was fully integrated as the new editor interface for WordPress.org in it system upgrade of version 5.0 by the end of 2018. The editor has blocks for inserting texts, videos, images and for enhancing the coding as well. This editor is more flexible in incorporating the content around the page. In simple terms, the users who are not having special programming skills can make the best of it by building a more quality business or personal blog, all thanks to the block mode of Gutenberg. People are showing an inclination towards Gutenberg already. WordPress too is continuously performing on maintenance upgrades for the new version 5.0. They are trying hard to address all the bugs and users complaints as well. Know World Now: How Favourable Gutenberg is for Bloggers?